*A Tale of 2 Monkeys*: Shark! Everybody INTO the water! I am so excited to share these photos. 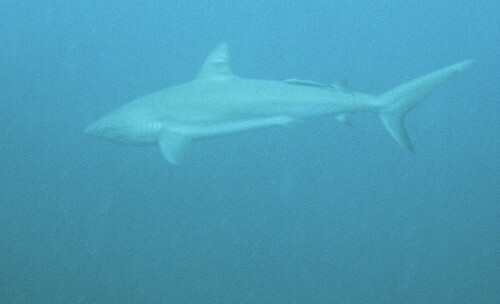 They are my first and only successful pictures of sharks. Usually, I see the shark just as it is darting away, or I get so excited that my camera waves around wildly and the shark becomes a whitish blur. This time, however, I had some pretty good success. 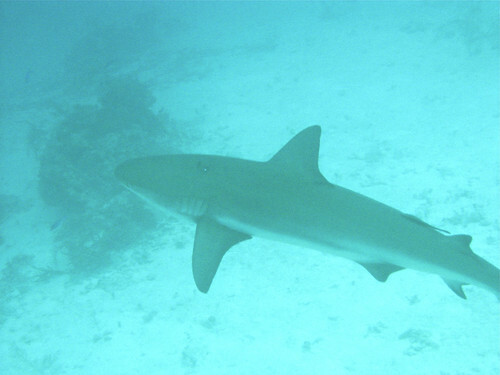 These guys are (quite friendly) Caribbean Reef Sharks. 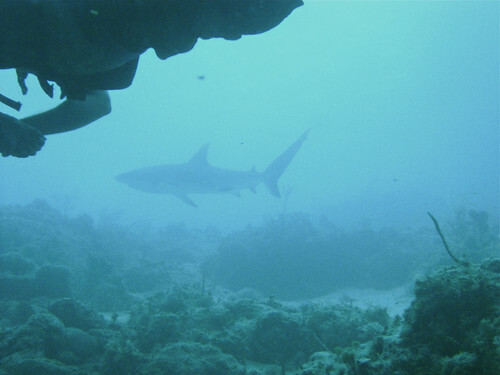 These were all taken in or near The Great Blue Hole, off the coast of Belize.